Massive updates from UK, Bahrain, Syria nMOR!!!!!!!!!! The 5th of November is Guy Fawkes Night, the night on which Fawkes guarded the explosives beneath the House of Lords, ready for an assassination of the King. It was a missed revolution in a country that has been involved in starting revolutions in other countries. 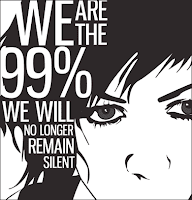 And it's NOT just in the UNITED KINGDOM; united against the BANKSTERS!!!!!!!!!!!!!!!! A worldwide rally against genetically modified food giant Monsanto is being held across the globe. Activists are protesting the use of potentially harmful chemicals in food production, something Monsanto says is the only way to feed the globe's growing population. Hundreds of cities are set to take part in the march across more than 60 countries. RT's Marina Portnaya reports from New York. For the 5th consecutive week, the National Constituent Assembly in Tunis is witnessing daily protests by the victims of the January 14 revolution. FREEDOM RISING **EVERYWHERE** (except that LAND OF SLAVES, full of people who don't think they run their own country, formerly known as the Land of the Free; now known GLOBALLY as the LAND OF THE SLAVES! Cow-hurd Human (or are they?) ... UNWILLING TO RISK LIFE< for LIBERTY; never was a nation SO easily wrought asunder ... No slaves in Syra, no SLAVES, in Egypt (quite happy to take on the MIGHT of the American military there ... AFGHANISTAN, no slaves there .. Hell no; ONLY in the LAND OF THE 'FREE', do you find MILLIONS cowering under their beds, DAILY! The unrest in Bahrain has gripped this tiny Persian Gulf country since a 2011 uprising demanding democracy, reforms and more share in the government ruled by the regime there. Come now American compatriots ... YOU DO NOT HAVE TO LIVE LIKE THIS!